If the past predicts the future, then September 19 could be the worst day of the year for some people with asthma. Clinical studies show that asthma-related hospitalizations spike 17 days after Labor Day – 3-4 times more than any other day of the year, according to Allergy & Asthma Network Mothers of Asthmatics (AANMA), a leading patient education organization. The "September Asthma Epidemic" happens in part due to an estimated 60-90 percent of people with asthma who also have allergies that inflame airways and set off attacks – including ragweed pollen and mold prevalent in the fall. Furthermore, students returning to classrooms are exposed to a range of respiratory illnesses and indoor allergens like pet dander on classmates' clothing. According to Lyndon Mansfield, MD, allergist in El Paso, Texas: "People with asthma can reduce symptoms by working with their physician to identify allergens that set off their asthma symptoms. It is critical to have an asthma action plan with customized allergen avoidance. This simple step along with medication adherence will significantly reduce symptoms." Get tested for allergies. See a board-certified allergist to precisely diagnose your allergies and develop a personalized asthma action plan. Avoid allergens. The best way to prevent allergic asthma symptoms is to avoid the allergens that set them off. Create a "safe sleeping zone" in the bedroom to reduce the presence of allergens: keep pets out and use allergen-proof pillows and mattress encasings. Vacuum frequently with a HEPA vacuum and use an air filter. Stock up. Check expiration dates to make sure your asthma medications are up-to-date and keep a quick-relief inhaler on hand at all times. All 50 states protect students' rights to carry and self-administer asthma inhalers in schools, an initiative spearheaded by AANMA. 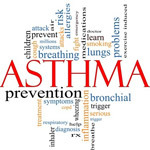 Tonya Winders, AANMA Chief Operating Officer, says, "NIH National Asthma Education and Prevention Program (NAEPP) guidelines include allergen identification and targeted exposure reduction as an important part of a comprehensive asthma management plan. If you follow a personalized asthma action plan, most hospitalizations and deaths can be eliminated." Allergy & Asthma Network Mothers of Asthmatics (AANMA) is the leading national nonprofit organization dedicated to ending needless death and suffering due to asthma, allergies and related conditions. AANMA specializes in sharing family-friendly, medically accurate information through its award-winning publications Allergy & Asthma Today magazine and The MA Report newsletter, its web site at http://www.aanma.org and numerous community outreach programs. Follow AANMA on Facebook at facebook.com/AANMA and on Twitter at twitter.com/AANMA.